What Is Mirroring, and How Does It Work in Sales? What Is Mirroring in Sales? Mirroring, a technique used in sales, can work well when done properly or create a disastrous situation when used incorrectly. Basically, one person adopts the physical and verbal behaviors of another as a way to build rapport and agreement during the selling process. Although that may sound a little creepy, it's subtle when done well and research supports its effectiveness. Mirroring tends to happen automatically between people who know each other well. Good friends will often use the same words or phrases and adopt the same gestures, particularly when they're together. Spouses do it, too, and anyone with a toddler knows that small children are experts at mirroring a person. Just think of the last time your three-year-old burst out with one of your favorite epithets. This kind of unintentional mirroring happens frequently in families with kids adopting the behavior they see in their parents and older siblings. Mirroring can serve as a powerful sales tool because it can lead your prospect into subconsciously believing that you're acting like him because you're his friend, or that you'd make a great friend because you're so much like him. Salespeople can use mirroring to quickly build rapport and trust with their prospects. It's extremely important to be subtle, as mirroring only works if the prospect doesn't realize what you're doing and that you're doing it on purpose. If a prospect does pick up on your behavior, he may think you're making fun of him. This is particularly the case if you mimic something that's unique to him, such as the way he speaks certain words. Overt mirroring can feel insulting to a client, and you risk turning into a caricature of him, which is sure to offend. Picking up on clues about your prospect helps, particularly if you can do so before actually meeting with him face-to-face. If you notice an NRA bumper sticker on his car in the parking lot, for example, you might quickly change your screensaver to an NRA logo and adjust your laptop just a little so that he can see it when he approaches your desk. Again, subtlety is key. 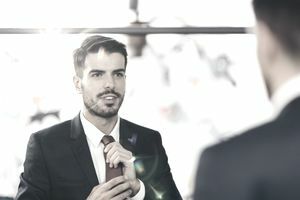 One of the easiest techniques involves replicating the client's speech volume and pace. If your client talks loud and fast, you would do the same. Square your body directly to the person, making just the right amount of eye contact and giving her all of your attention. Research shows that when you nod three times in a row while listening, prospective clients feel more important and will speak three to four times longer. Physical mirroring can be tricky, particularly if you're going to do it successfully. Avoid mirroring a person's accent or copying any unusual phrases. Additionally, avoid mirroring any negative body language, such as crossed arms, turning away, or closing your eyes. Mirroring generally works best during one-on-one, two-way conversations rather than in meetings or sales presentations that may involve only one-way communication with a group of other people. In these situations, though, you don't have to forgo mirroring altogether. If you notice a prospect using a certain word or phrase during a conversation, you might choose to add it to your presentation for a subtle boost later.